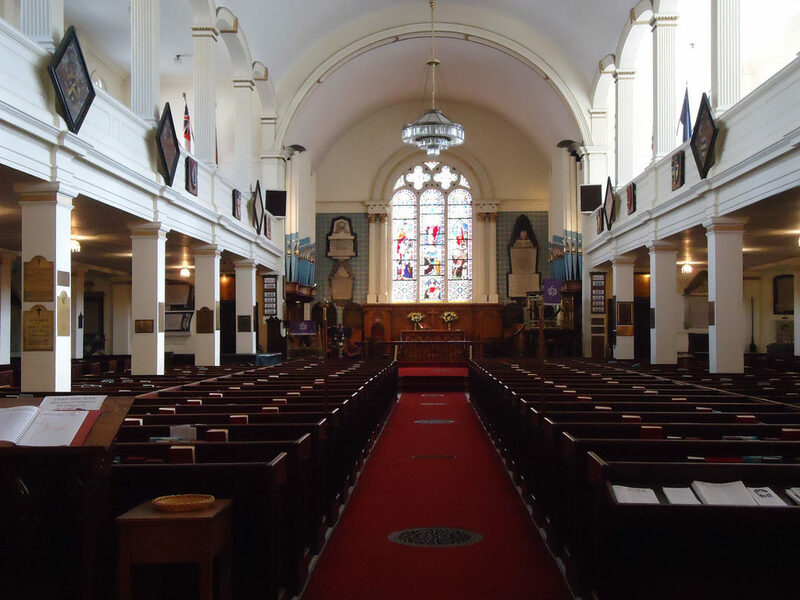 A Sum­mer 2016 Stu­dent posi­tion as an Her­itage Inter­pre­tive Guide At St. Paul’s Church is avail­able. Job Infor­ma­tion: Appli­cants must have an inter­est in, and knowl­edge of, the his­to­ry of Hal­i­fax from 1749 onwards. St. Paul’s Church is an active, wor­ship­ping com­mu­ni­ty as well as a nation­al his­toric site. Can­di­dates must be able to inter­act with a wide vari­ety of peo­ple, e.g. tourists, vis­i­tors, parish­ioners and per­sons seek­ing assis­tance. Pre­vi­ous sim­i­lar expe­ri­ence, bilin­gual­ism (French/English), and a good under­stand­ing of the Angli­can Church of Cana­da would all be impor­tant assets. Hourly Rate: $12.00 Sub­mit resume, cov­er let­ter, and two ref­er­ences to the fol­low­ing: Julia Atkins Email: office@stpaulshalifax.org Fax: (902) 429‑8230 OR In Person/by Mail: St. Paul’s Angli­can Church, 1749 Argyle St., Hal­i­fax NS B3J 3K4 (on the Grand Parade). Clos­ing date: May 2nd 2016. We thank all those who apply. Only those select­ed for fur­ther con­sid­er­a­tion will be con­tact­ed.